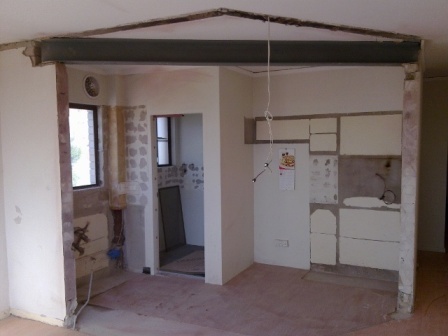 Best advise here is to have a builder, carpenter or engineer work out if the intended wall to be removed is structural or not before pulling down any walls. 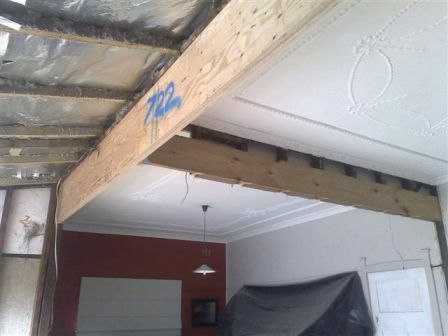 All structural work must be performed by one of these licensed trades. 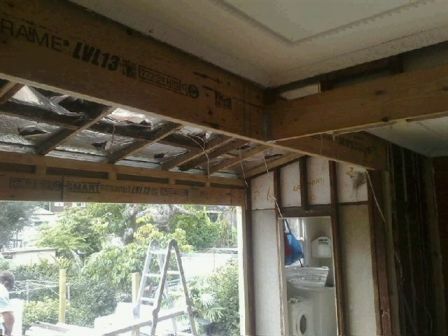 In a timber stud constructed wall, more than likely new suports will have to be placed in the wall to accommodate the new beam above. This a good way to enlarge room sizes. Sometimes where the wall comes out from a new strip piece of flooring will have to go in its place as there could be a section of flooring missing from where the wall was. 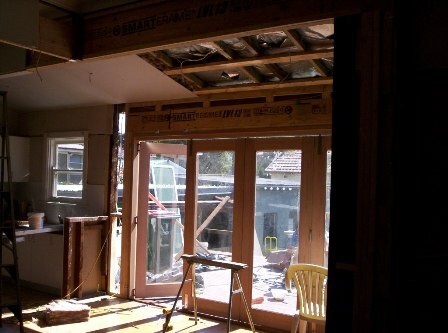 Web www.swcarpenters.com.au to see more pics!